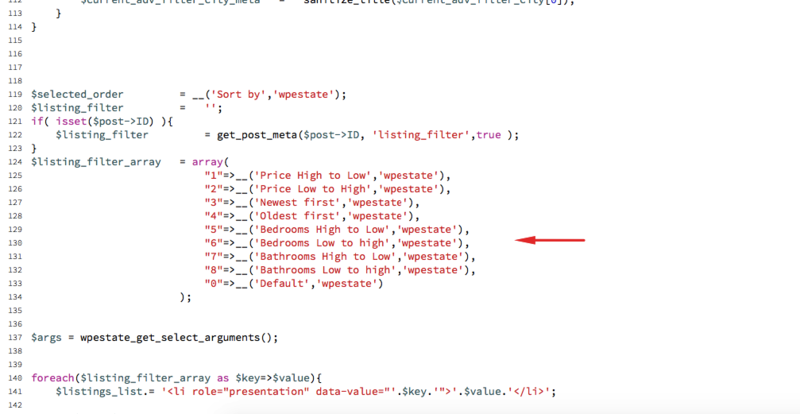 Question: How could we delete filters in property list page template in WP Residence. Answer : The HTML code for filters is located in wpresidence/templates/property_list_filters.php. The code is self-explanatory and you should not have any problems locating the code you want to be removed.